What is the one thing we crave more at this time of year than any other? Yup, ice cream. And who better to talk to about our favorite cold creamy dessert (and food in general) than Max Falkowitz, Editor and Ice Cream Maker-in-Residence of Serious Eats: New York. Over the years, he has provided us with infinite ice cream wisdoms making our existence that much sweeter, from showing us the easiest way to make vanilla ice cream at home, bringing peanut butter honey ice cream into our lives, to more recently, introducing us to ice cream’s best friend – really decadent double chocolate cake from Park Slope’s L’Albero Dei Gelati. 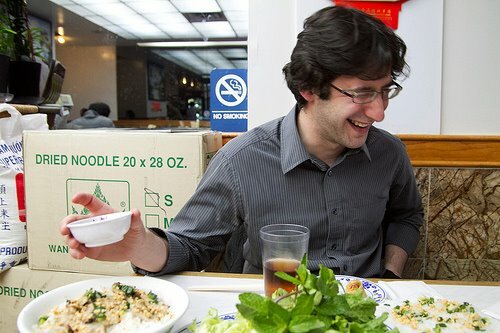 Max grew up in Forest Hills, Queens in a food-loving family. “We’re all a big family of emotional eaters so it was celebratory and stress relieving,” says Max. But it was in college that his interest in cooking and technology began. He stumbled into his career at Serious Eats a few years ago after a friend dared him to reach out to the now incredibly popular food blog. Shortly after, Max became a columnist writing about ices and ice cream recipes. “I owe it all to luck and being at the right place at the right time,” he told me. And of course, we had to have a lengthy discussion about donuts. He enjoys going to Peter Pan Donut & Pastry Shop in Brooklyn for their chocolate cake doughnuts. A little tip from Max: if you get there around 10am, you can pretty much get them super fresh. He’s also a big fan of Dough; specifically their blood orange and lemon poppy seed yeast doughnuts, which are more fluffy. As for more savory foods, he loves lentils and sandwiches. Sorriso Italian Pork Store in Astoria is one of his favorites; the friendliest Italian deli he’s ever been to. According to Max, there’s always food in the Serious Eats office, samples ranging from Cheez-Its to ice cream. “On days we can write about salad, we are thrilled, we love salad,” he said with a laugh. If you want to learn more about Max, and/or ice cream, check out his articles here. 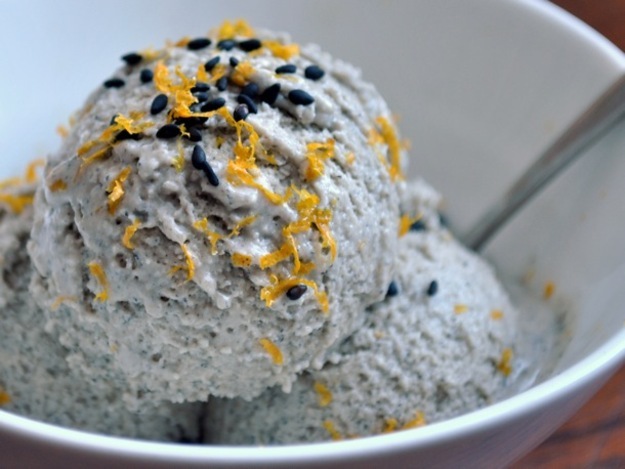 And here are some Max’s favorite ice cream recipes: Black Sesame & Orange Ice Cream, Horchata Ice Cream, Chai Ice Cream, and Ginger Green Tea Ice Cream.